I buy fresh and local fruits and veggies whenever possible and choose frozen produce when a fruit or veggie isn’t in season. Then, I set aside time during the weekend to chop veggies (or fruit) to reduce prep time for weeknight meals. They are a good source of vegetarian protein and are great for last-minute meals. Add them to soups and stews, or a rice bowl. Make dips with them, or use them in veggie burgers. Be sure to choose the no-salt variety to avoid sodium overload. Quinoa, millet, brown rice, and other unrefined grains are high in fiber and have a nutty, rich flavor. Most can be cooked ahead of time and tossed into soups, salads and even casseroles. Nut-based flours are excellent gluten-free options for baked goods and other low-carb treats. Almond and walnut flours have a rich, buttery flavor and are packed with plant protein. White fish, organic chicken, and turkey are low-fat sources of protein and contain less saturated fat than red meat. Consumed in their most natural state, raw nuts don’t have added salt and unnatural flavoring. 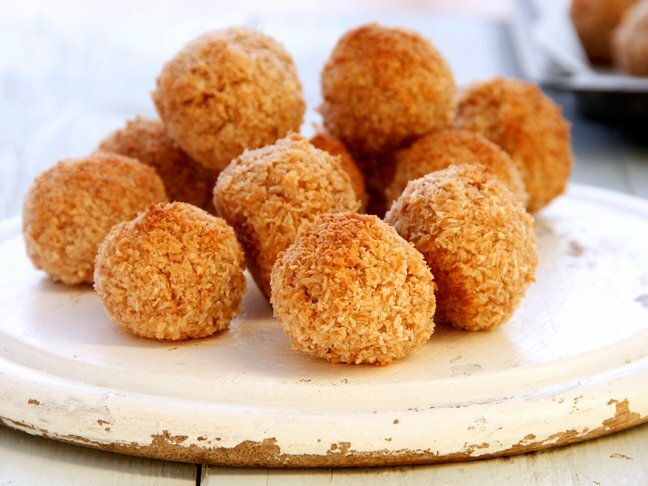 They are a good source of protein and healthy fat and they can be enjoyed as a quick snack or used in gluten-free breading or baked goods. 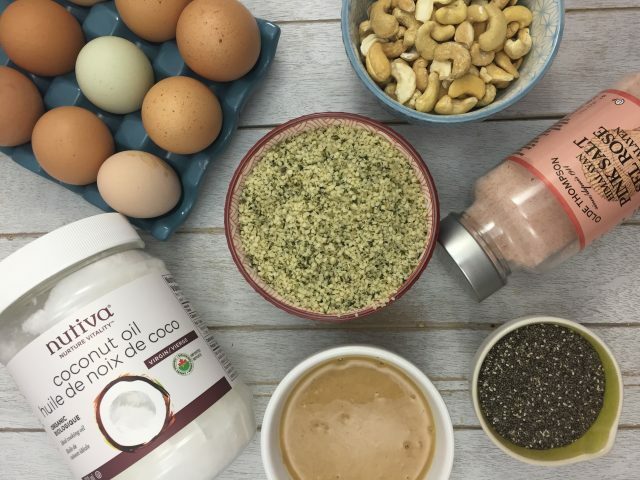 Chia seeds, flax seeds, and hemp hearts may be tiny, but they pack a nutritional punch. They are loaded with fiber, protein, and a variety of vitamins and minerals. Add them to smoothies, salads, baked goods, or raw desserts. Varieties of nut butters, such as almond and cashew are rich in both monounsaturated and polyunsaturated fatty acids. Seed butters also contain healthy fats, plus they are perfect for people with nut allergies. A good quality extra virgin olive oil adds a ton of flavor to recipes, not to mention a healthy dose of omega 3-fatty acids. When purchasing olive oil be sure to choose carefully; the darker the color, the better the quality of the oil and the richer the flavor. This rich and creamy oil works well in both savory and sweet recipes. Use regular coconut oil for savory meals and extra virgin coconut oil for sweets and baked goods to add a richer, sweeter flavor. Skip the refined sugars and opt for healthier substitutes, such as raw honey, pure maple syrup, or brown rice syrup. These natural sweeteners have lower glycemic indexes and therefore do not spike blood levels as sugar does. Most natural sweeteners can be used in recipes with a 1:1 ratio. This gluten-free superfood grain has a chewy texture and a rich, nutty flavor and can be substituted in any grain-based recipe. Quinoa contains all the essential amino acids which makes it an excellent source of plant-based protein. Eggs contain heart-healthy omega 3’s and are loaded with high-quality protein. They’re rich in iron, phosphorous, selenium, and vitamins A, B12, B2 and B5, among others. Choose organic for optimal flavor and freshness. Reduce the need for salt in recipes by an extra dash of herbs and spices for additional flavor. Dried herbs and spices are less pungent than fresh ones and they can be stored for a longer period of time. Be adventurous when choosing herbs and spices and stock up on those that are known to have antioxidant and anti-inflammatory properties, such as ginger, turmeric, and cinnamon. Most herbs are best purchased fresh to ensure optimal flavor. To prolong their shelf life, rinse them and pat dry then wrap with a paper towel and store them in the crisper in the fridge. This probiotic beverage made by fermenting tea with a culture of bacteria and yeast is high in antioxidants and polyphenols, helps maintain overall gut health, and has numerous other healing properties. Certain varieties of oily cold-water fish like salmon, mackerel, herring, sardines, and anchovies are rich in heart-healthy omega-3 fatty acids. They are known to reduce the risk of cardiovascular disease, are low in mercury, and are a good source of vitamin D, protein, and other vitamins and minerals. When you cook your own food you are able to control the amount of salt added to recipes. Sea salt is more flavorful than table salt and contains less sodium.